NOAA-20 is a new-generation polar-orbiting operational environmental satellite. Image courtesy of National Oceanic and Atmospheric Administration (NOAA). NOAA-20 satellite was designed and manufactured by Ball Aerospace. Image courtesy of National Oceanic and Atmospheric Administration (NOAA). NOAA-20 satellite was launched in September 2017. Image courtesy of National Oceanic and Atmospheric Administration (NOAA). The satellite was delivered in August 2017 and was launched on top of the Delta II rocket in November 2017. It captured two images of surface temperature in January 2018 and was fully operational by May 2018. NOAA-20 is designed for monitoring global environmental conditions and collecting and disseminating data related to weather, atmosphere and oceans. The JPSS series consists of three satellites, namely Suomi-NPP, NOAA-20 and JPSS-2. 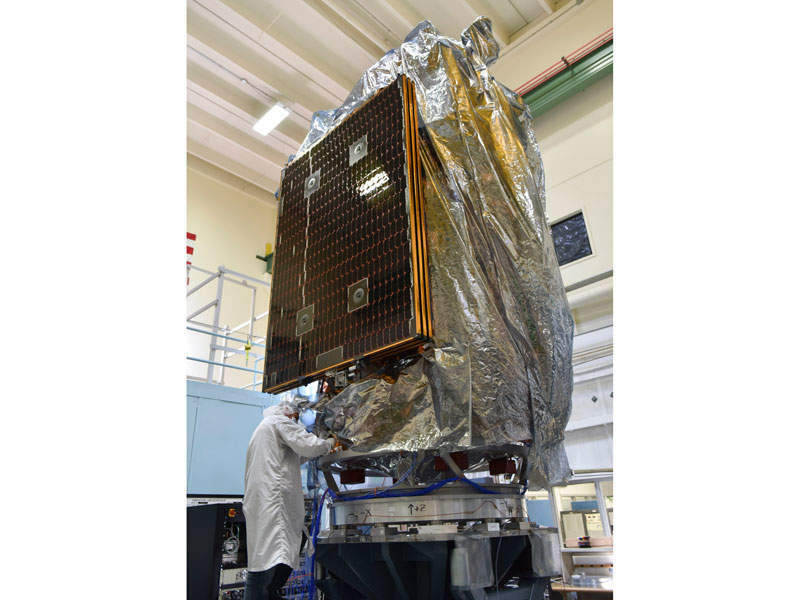 Designed for a lifespan of seven years, the NOAA-20 satellite is based on Ball Configurable Platform (BCP)-2000 platform developed by Ball Aerospace. Ball Aerospace and Technologies Corporation (BATC) was awarded with a contract to design, manufacture and provide advanced instruments and sensors, as well as components, data exploitation systems and RF solutions in August 2012. 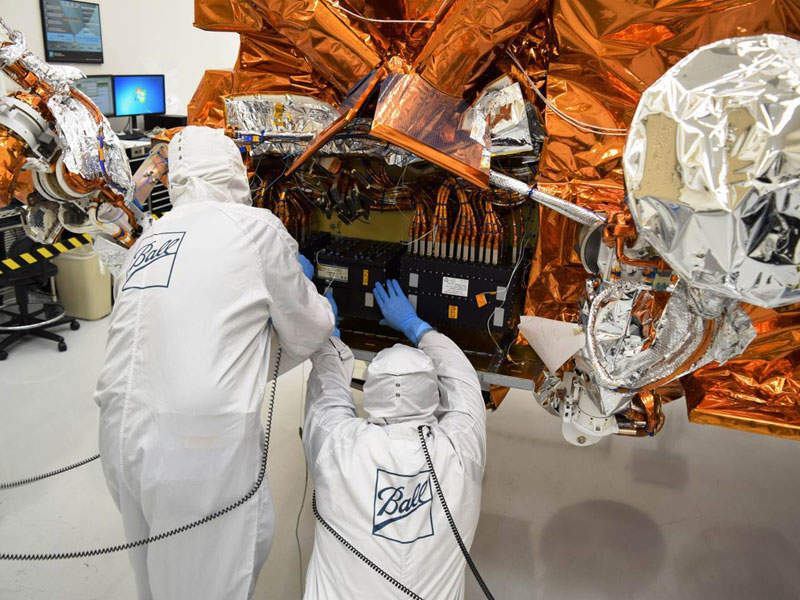 The satellite manufacturing and integration was completed at Ball Aerospace’s Fisher integration centre in Boulder, Colorado, US. NOAA-20 underwent vibration and acoustic testing in April 2016, followed by electromagnetic interference (EMI), compatibility and environmental tests in July 2016. Thermal vacuum chamber (TVAC) testing was completed in August 2016. The satellite was handed over to Nasa in April 2018, upon fulfilling its on-orbit requirements during the satellite acceptance review. 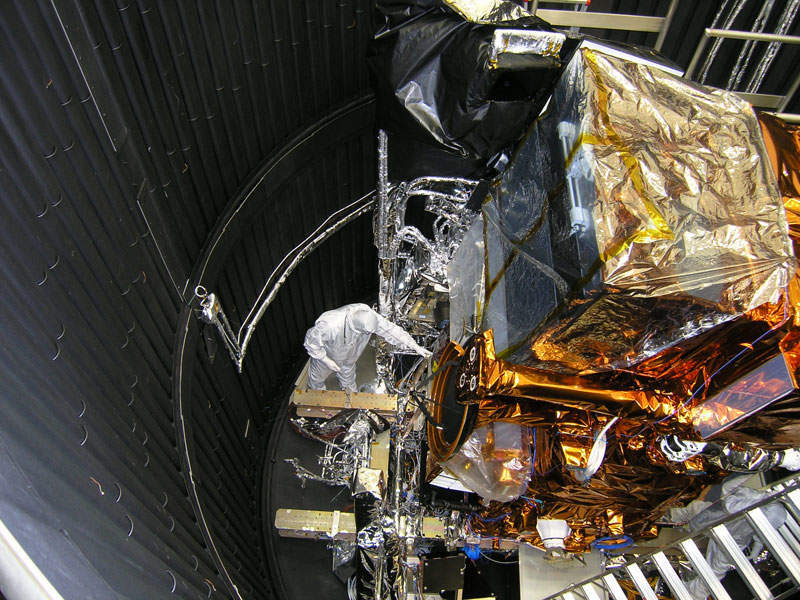 NOAA-20 satellite is fitted with five advanced remote sensing instruments. One of them is the visible infrared imaging radiometer suite (VIIRS), which was developed by Raytheon Space and Airborne Systems. It is used for the collection of visible and infrared imagery and global observations of land, atmosphere, cryosphere and oceans, even in the lowest moonlit conditions. The advanced technology microwave sounder (ATMS) instrument manufactured by Northrop Grumman provides atmospheric temperature and moisture for operational weather and climate applications. Clouds and the Earth’s radiant energy system (CERES) FM6 manufactured by Northrop Grumman enables the satellite to measure reflected sunlight and thermal radiation released on Earth. The cross-track infrared sounder (CrIS) instrument developed by ITT Exelis will provide accurate, detailed atmospheric temperature and moisture observations for weather and climate applications. The advanced ozone mapping and profiler suite (OMPS) instrument by Ball Aerospace is used for tracking the health of the ozone layer and measuring the ozone concentration in the Earth’s atmosphere. NOAA-20 satellite is launched on-board United Launch Alliance’s (ULA’s) Delta II launch vehicle. The satellite had a launch mass of 2,450kg and the launch is powered by nine solid rocket boosters. The launch is performed from Vandenberg Air Force Base in California, US. The objective of JPSS constellation satellites is to gather global measurements of atmospheric, terrestrial and oceanic conditions. JPSS-1 collects data relating to sea and land surface temperatures, vegetation, clouds, rainfall, snow and ice cover, fire locations and smoke plumes, as well as atmospheric temperature, water vapour and ozone. Satellites in the constellation orbit from pole-to-pole 14 times a day and provide high-resolution images of the planet twice a day. They help in storm tracking and monitor ship traffic. The satellite system provides observations for vital products and services, including forecasting severe weather conditions such as hurricanes, tornadoes and blizzards in advance. It also assesses environmental hazards such as droughts, forest fires, poor air quality and harmful coastal waters. It will offer continuity of critical, global Earth observations through 2038. Raytheon Intelligence and Information Systems was contracted to provide the JPSS Common Ground System in 2011. The CGS is used for the integration of all future polar-orbiting environmental satellite space and ground segments with a single ground system. The CGS comprises primary and back-up operations centres in Maryland and West Virginia; ground receiving/transmitting stations in Norway, Antarctica, Alaska and New Mexico; and data service delivery points at Germany and Maryland. Support facilities are in Colorado, Indianapolis and Maryland.